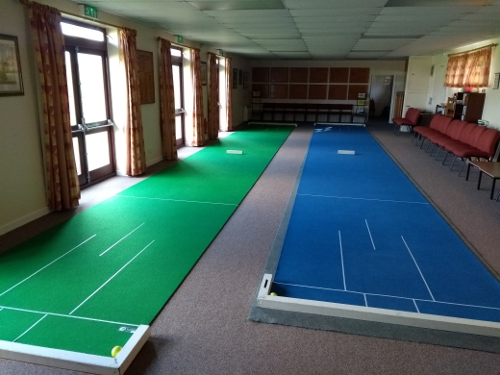 Inside the clubhouse, we have room for 2 short mats, in the winter season (October to April), both short mats are available to play on everyday. During the winter we have a Monday night short mat league. There are 5 teams and the competition consist of 20 matches played over 20 weeks (2 matches per night). The Monday Night Short Mat League winners are listed below. We also have a Short Mat Singles competition. The winners can be found on the Honours Boards page. We also partcipate in a Thursday League where we field 2 teams against other clubs.